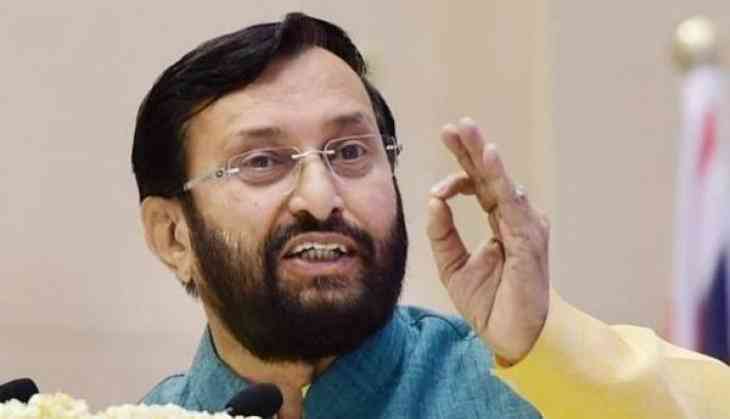 Union Human Resource and Development Minister Prakash Javadekar on 3 April, 2017 said Delhi's Jawaharlal Nehru University (JNU) and Kolkata's Jadavpur University did not get rankings for Parliament attack convict Afzal Guru and anti-India slogans, but for the good works done by the students. JNU, since 2016, has been in the fray of controversies after three of its students were booked for alleged sedition. In 2016, in the specific list of universities ranking, JNU was at number three and in 2017, it has climbed in the same list to number two. On 9 February, 2017, some of the JNU students organised an event in the campus to protest against the hanging of Afzal Guru, the driver of the 2001 Parliament attack. Umar Khalid after this had again given birth to a controversy in July, 2016, by comparing Burhan Wani, the Hizbul Mujahideen commander who was gunned down in July, 2016 with a revolutionary. In February, 2017, Khalid was invited to a seminar at Delhi University's Ramjas College and later the event was called off and even a clash broke out between All India Students' Association and ABVP regarding this.